My old recover unit was becoming a hindrance with a leak at the flange located inside the unit. I repaired it a few times but the leak would inevitably come back, plus after 10 years of use it was time to get a new one. 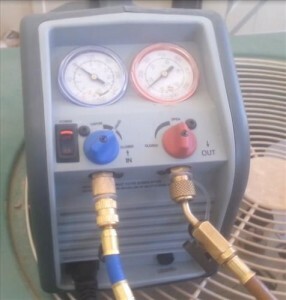 After reading reviews and examining prices I bought the Robinair RG3 Portable Refrigerant Recovery Machine. My first impression of it was wow shiny, than after moving on to its functionality I found it to feel solid and well built. It is light at only 18 pounds in a nice compact casing. 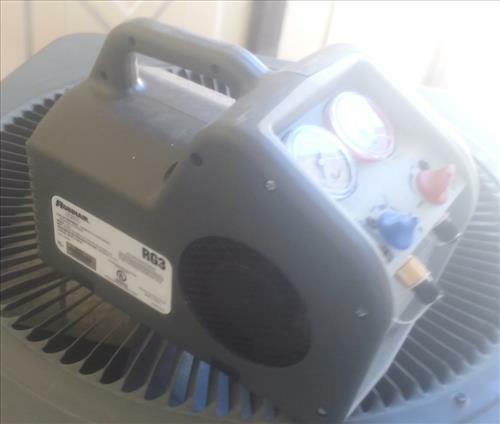 The unit is a oil-less unit that has a high pressure safety switch which shuts it down if the pressure goes above 550 PSI, and of course it will works with any refrigerant R-22, R410a, R-12, R134a and so on. I used it on a 3 ton R-22 residential unit and it evacuated the system in about 30 minutes. 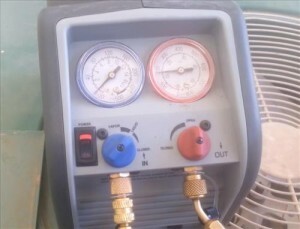 Of course this will change depending on the temperature, and refrigerant type that is in the system. The RG3 is the little brother of the Robinair RG6 which is a twin cylinder design and can recover refrigerant quicker. The RG3 is a good unit for residential recovery but if quicker recovery time is your goal than the RG6 is a better unit to get although more expensive. So far I am impressed with the Robinair RG3, keep in mind this is the first unit I have bought 10 years, hopefully this one will last as long. If there is any change with it or I have any problems I will update this post. Sorry about the short video my phone was acting up. I will make another when I have the time. thank you for your help, i have a question: how to purge the air that there is inside the hoses before to begin a refrigerant recover?…thak you.